The human body clock could have a significant impact on the way doctors are able to diagnose and treat asthma, according to new research. 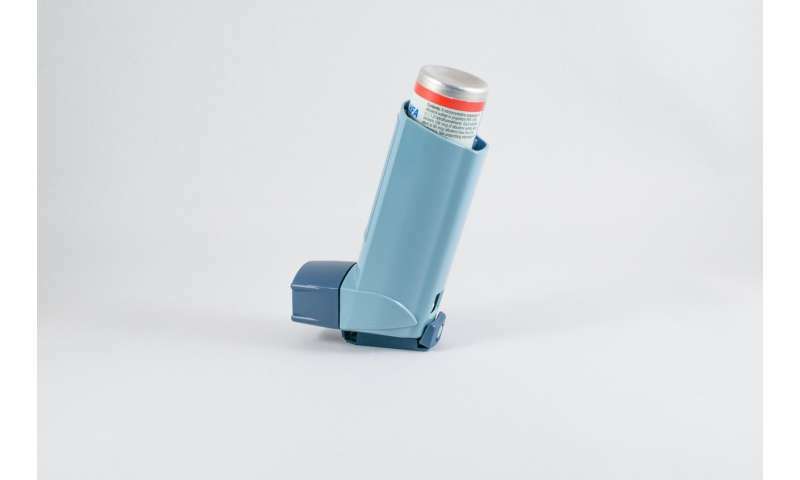 Study leader Dr. Hannah Durrington from The University of Manchester says the work has important implications on clinical practice in asthma and other inflammatory conditions. The study of over 300 severe asthmatics found their sputum samples were more than twice as likely to have more inflammatory cells—or eosinophils—in morning clinics than in the afternoon. Levels of eosinophils—a biomarker in sputum—are used to guide treatment in severe asthma patients. The study was funded by Asthma UK, the JP Moulton Charitable Trust, the North West Lung Charity and also the NIHR Manchester Biomedical Research Centre. Doctor and patients have long known that asthma symptoms are at their worst in the small hours of the morning. But previous research has shown that the worsening symptoms are biological in cause, rather than a result of lying down. Dr. Durrington said: "These research results are really exciting but at an early stage – our aim was to understand a bit more about how the body clock affects the biochemistry of a person with asthma. "But we are pleased because our work should help with the accurate diagnosis and treatment of asthma in the future. "We feel it may also have important implications on other lung conditions, as well as outside respiratory medicine. "Based on our results, different clinical decisions could be made depending on whether the patient is allocated a morning or afternoon appointment. "And it also points towards opportunities for more personalised treatment for asthma care in the future. "In the same way that measuring glucose levels in diabetes allows adjustment of insulin dosing, we may see asthmatics monitoring their biomarker chemicals during the day, to help inform optimum treatment times."